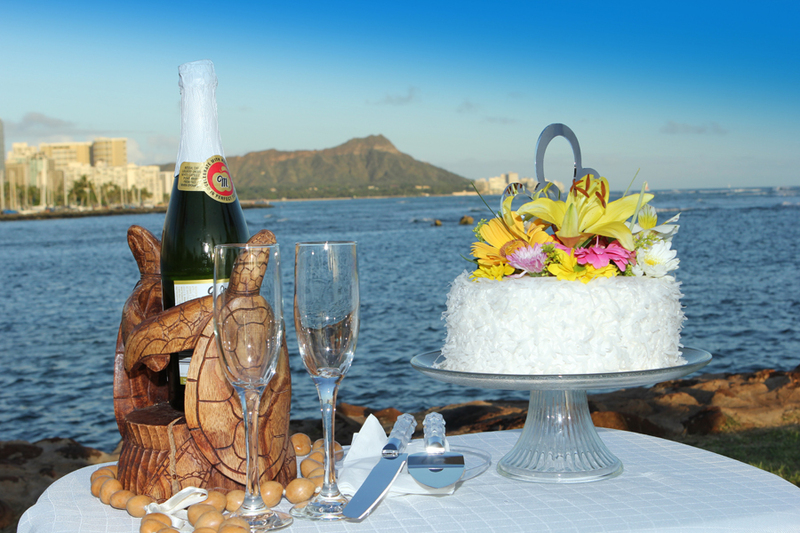 We've put together all of our best services for a VIP wedding at our favorite Hawaiian wedding location at Kahala Beach. 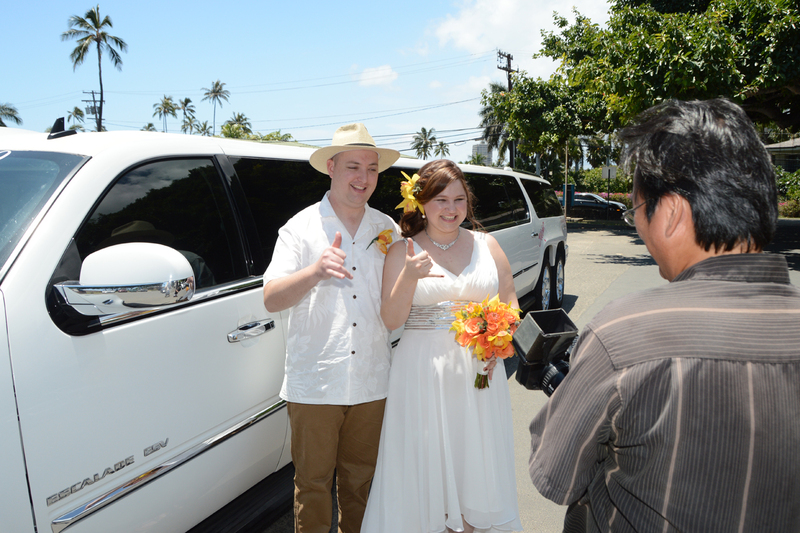 Our HAWAIIAN DREAM WEDDING starts with our Limousine service. The limousine picks you up at your hotel in Waikiki and transports you to our popular Hawaii Wedding location at nearby Kahala Beach. 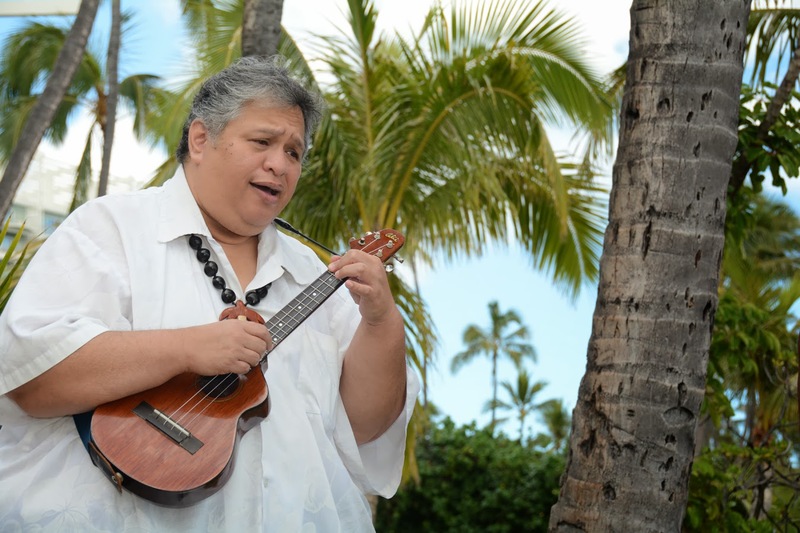 For a Hawaiian feel we have beautiful live Ukulele music, fresh tropical flower bouquet for the Bride, and a delicious "Haupia" (coconut pudding) white cake. 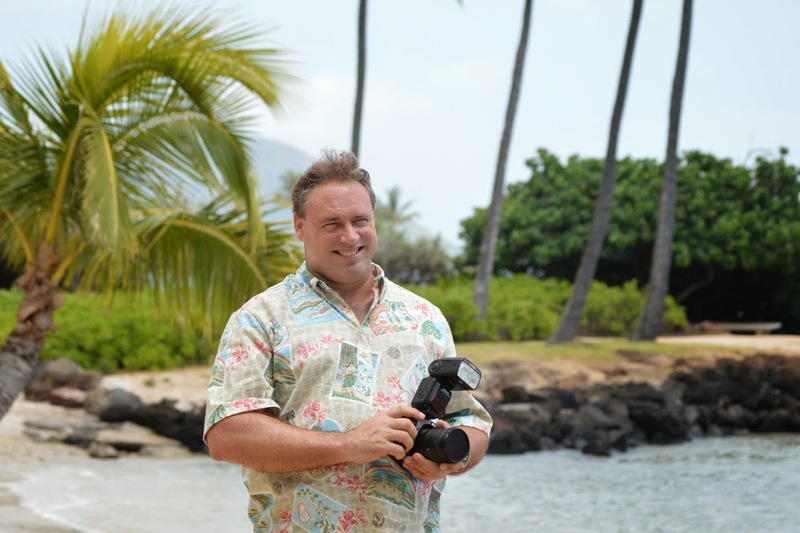 *Extra charges apply for areas outside Honolulu (Ko Olina, North Shore, Kailua or Waimanalo, etc). 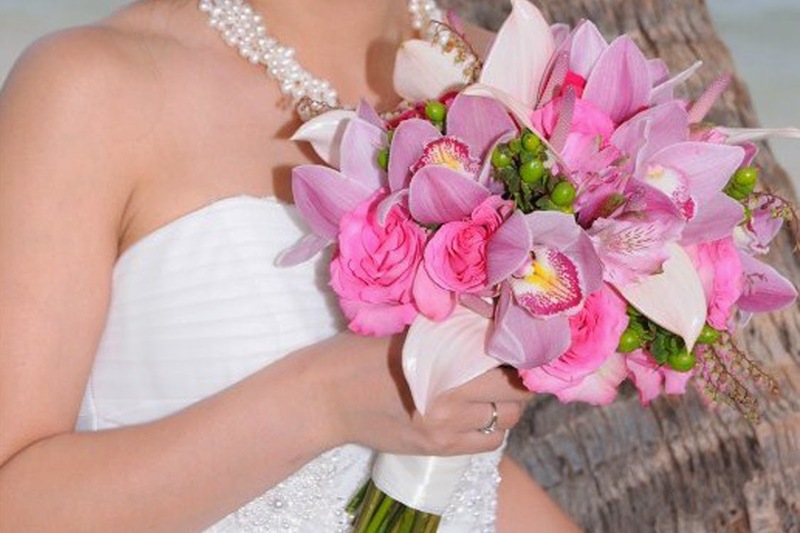 *Flower bouquet colors and types may vary. Special color requests are $50.00 extra.